Recommended Links - . .
Canadian Association of Professional Speakers – looking for a specific speaker for your event and Russ does not fit your needs. Please check out this extensive site for the right speaker. 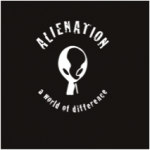 Alienation delivers powerful messages to our youth, our leaders of tomorrow! Three unique men from diverse backgrounds, come together to share their stories. Each man felt alienated and alone early in their lives. They share their pain, twist the knife and show how they overcame those challenges….without preaching or talking down to our audiences. Toastmasters International is a world leader in communication and leadership development. Our membership is 313,000 strong. These members improve their speaking and leadership skills by attending one of the 14,650 clubs in 126 countries that make up our global network of meeting locations.